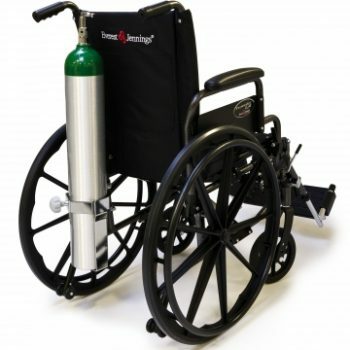 Everest & Jennings introduces the latest in a long tradition of quality wheelchairs. 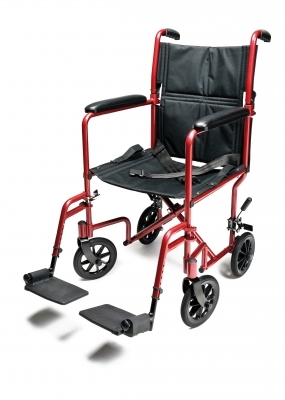 The Traveler HD provides the ideal solution to the need for a heavy duty frame designed to support up to 500 lb users. 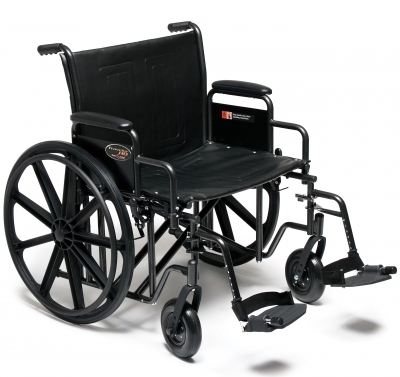 The Traveler HD comes with double crossbraces, heavy-duty 5/8"; diameter axles, and a long lasting, embossed back and seat upholstery with a double inner liner for durability.Available in 20";, 22"; and 24"; seat widths, with 18"; seat depth (1"; longer than standard). Meets Medicare K0007 specifications.The Traveler HD is manufactured with the same commitment to quality Everest & Jennings is known for. 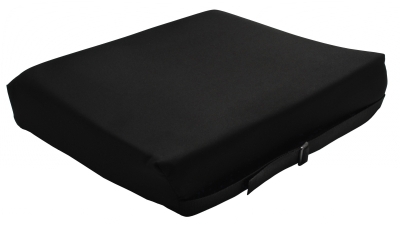 Standard Features• Embossed black leatherette upholstery with double inner lining for durability• Hammer tone paint provides a long lasting and durable finish• Reinforced frame at all critical load-bearing points• “Tool Free” adjustable front rigging• Chart pocket standard on back upholstery• 24"; x 1"; black plastic wheels with black handrims and non-marking polyurethane tires• Industry compatible front rigging with heel loops standard on swing away footrests• Durable aluminum black footplates• Two position axle and caster fork provides 2"; seat height adjustment• Maximum weight capacity 500 lb – EVENLY DISTRIBUTED• Meets Medicare code K0007WarrantyFive (5) year limited warranty* Custom color upholstery program is available for the Traveler® SE, HD, or HTC Series. Minimum order quantities may apply.